Poster completed for my graphic design position at the Department of Arts and Sciences. 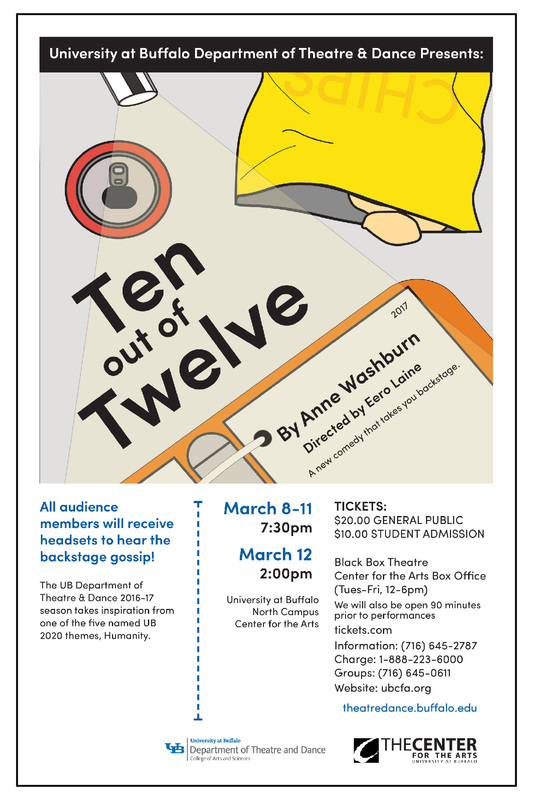 The Department of Theatre and Dance requested a poster for their Ten out of Twelve play. 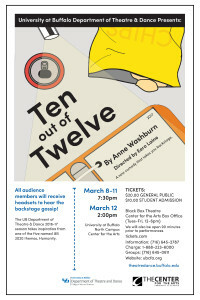 I designed original graphic artwork as well as laid out the poster text.